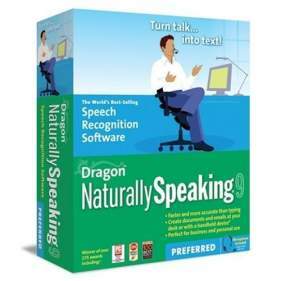 When I originally bought Dragon NaturallySpeaking (perhaps the most well known voice recognition software for the PC), I picked it up because I was having so much trouble with RSI (pain in my hands) that I couldn’t work at the computer for more than an hour or so without having to quit for the day. So I bought the software out of desperation, and I think it’s a great option for people with hand or other issues that make typing and mousing tough. But lately I’ve noticed quite a few computer professionals blogging about how they’ve picked up Dragon for other reasons. They don’t have RSI, but they’re finding that the program boosts productivity. Personally, I love writing and have stories dating back to the second grade, but I know a lot of people struggle with the process. If that sounds familiar, you may find voice recognition software helps you with the article/blog post/book writing process. You might find it more comfortable to just speak your ideas and then edit later. You might find it faster too. In the product description, it’s noted that most people only type 40 words per minute (okay, us computer geeks do 80) but can speak 120 words a minute. Though you do have to spend some time training the program to recognize the nuances of your voice, I found Dragon Naturally Speaking worked extremely well for business and technical writing (it was a little flakier for recognizing made up names and places in my fantasy novel). I also found it nice that I could kick back in my chair and relax or pace around the room while I was “typing” this way. Also, though I never tried it, I believe you can set DNS up to import voice files, so if you take your mp3 player/recorder to the park to “write” your paper, you can have Dragon translate it to text when you get home. So if you’re looking for a way to boost your writing productivity, you might want to give voice recognition software a try.